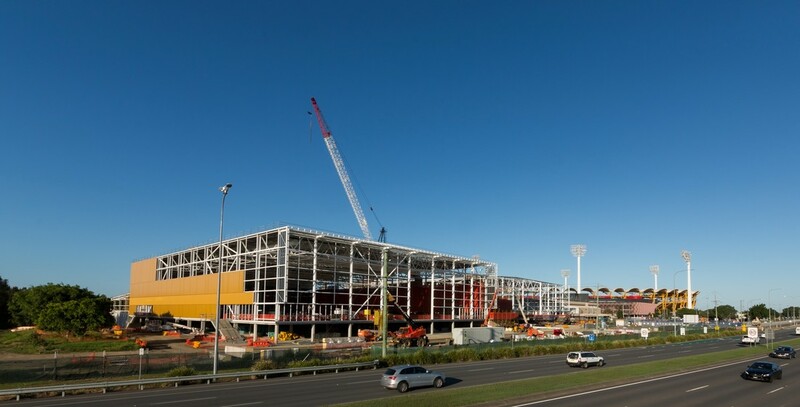 ​Description: Supply of Shop Drawings and the Supply, Fabrication, Surface Protection and installation of two Sports Hall, Gold Coast Suns Building and The Street. Sports Hall trusses had a clear span of 60m. Began operations in January 1998. Is a privately owned Australian Company. Established to service the Mining, Industrial and Commercial Steel Markets. ​Largest project tonnage to date is 4500t. We have successfully completed projects to $20M. Workforce of 100 to 130 plus. 8000 sqm workshop located in Yatala, Qld. Centrally situated between Brisbane and the Gold Coast adjacent to the Pacific Motorway. Within close proximity to the Logan and Gateway Motorways providing transport capabilities for long and wide loads. 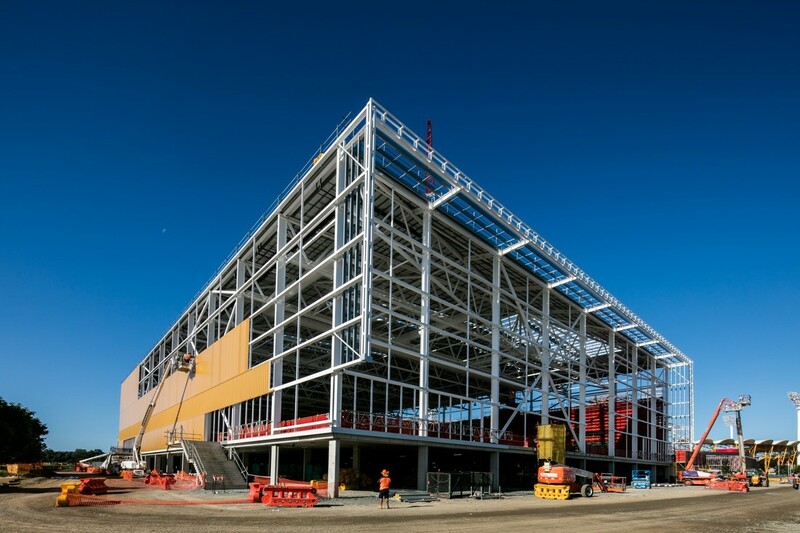 The objective of Steelwork Compliance Australia is to provide quality compliance certification for the supply, fabrication and erection of structural steelwork to be used in Australia, giving clients the ability to select steelwork fabricators who have been independently assessed as having capability to achieve compliance to the relevant Australian Standards required to complete the Construction Category for their project. Steel Fabrications Australia has been accredited with a Certificate of Compliance in March 2015 to this code with a CC2 Construction Category Rating. Detail Manufacture/Fabrication Drawing – Tekla. Manufacture Structural and Fabricated Steel components and assemblies – Strumis. Quality Certified System to ISO9001. Safety Certified System to AS/NZS 4801: OHSAS 18001. Environmental Certified System to ISO 14001. We have the knowledge, experience and dedication to take on your next project!